With the start of a new season (Fall), we have identified a very good group of alpacas that either would be great as a starter female herd, or could be sold individually. 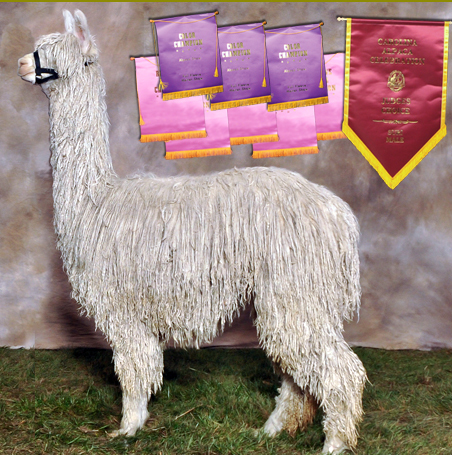 Please take a look at our quality alpacas and see if any peaks your interest. Keep in mind, the pictures don’t do justice as to the quality of the alpacas. CHECK OUT our two newest Herdsires (Full Accoyo Sawyer and Kahuna's Casper). Sawyer is out of the Kalvin bloodline and of course Casper is out of Pucara Kahuna. If not familiar with these two bloodlines, and you're breeding Suri, please do a bit of research. You'll find 3 common trends: 1) fineness (low micron count), 2) excellent conformation, and 3) extreme density with these 2 bloodlines. Both of these herdsires had Skin Biopsies done in June 2013 and their results are FANTASTIC (I'm not just saying this - the fiber stats speak for themselves - take a look at their profile). Sawyer's results are such that he places in the top 1% of Suris tested by Dr. Normal Evans. We are very anxious for their offspring to hit the ground and I'm most certain go into the show ring. Breedings are being offered at an introductory fee so contact us if you're interested. Discount for multiple females and drive-bys. 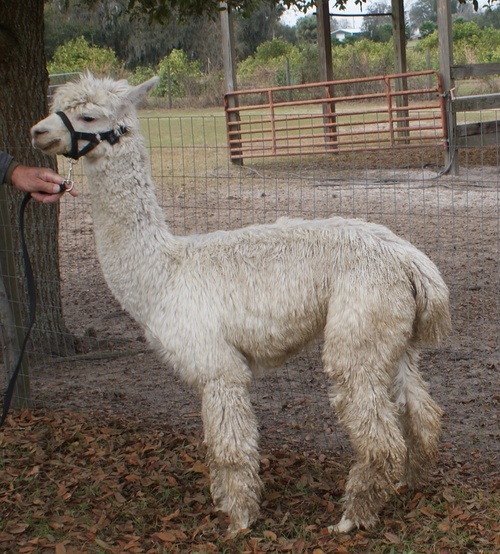 Sweet Blossom Alpacas is now located in Dade City, FL where we have much more nice pasture space for our alpacas. 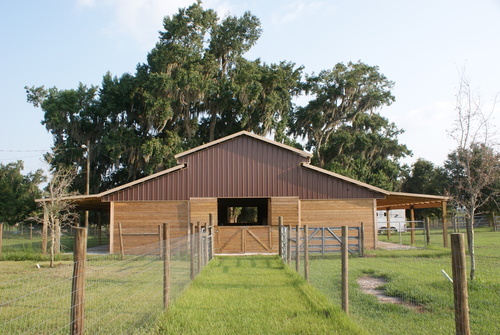 Our 15 acre farm is just north of Tampa and Orlando and conveniently minutes off of I-75. We followed the same path that many alpaca owners probably took by visiting local alpaca farms, learning as much as we could without being full fledged alpaca owners before we decided to jump into this amazing alpaca world. We love taking care of and working with the alpacas, and the never ending learning experience as well as networking with other alpaca farms. We are dedicated to continuously improving the genetics of our herd via a well thought out breeding program. 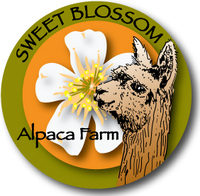 To learn more about alpacas and see our wonderful "blossoms", please give us a call to schedule a time to come by. We'd love to share any information about alpacas with you, what we've learned throughout our journey into the alpaca world, and answer any questions you might have.